​PLEASE BRING ALL FORMS AND PAYMENTS TO THE CHECK-IN DESK WHEN YOU ARRIVE. 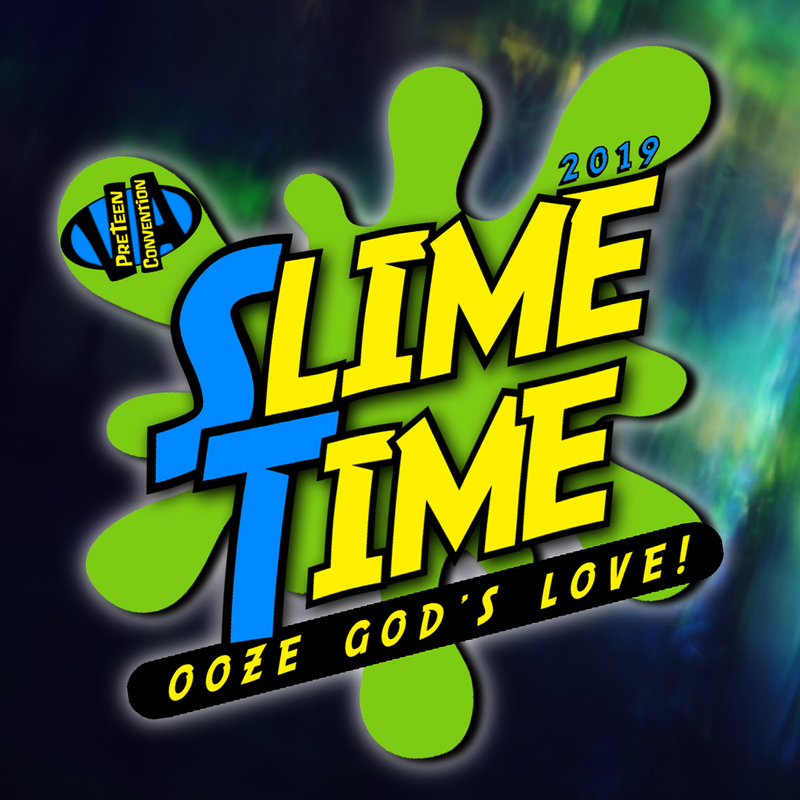 while you and your kids participate in the live, on-stage gameshow SLIME TIME LIVE! - Kids will put their names in a drawing to be chosen to participate in the gameshow on stage. for an amazing experience at SLIME TIME LIVE! We try our best to get you great hotel deals around the area for those who are traveling and need stay overnight. Feel free to contact any of these hotels and book your rooms or look around on your own. Remember, the convention fee does not include hotel costs and you are not required to stay in these hotels, but they offer good rates and nice, clean accommodations. 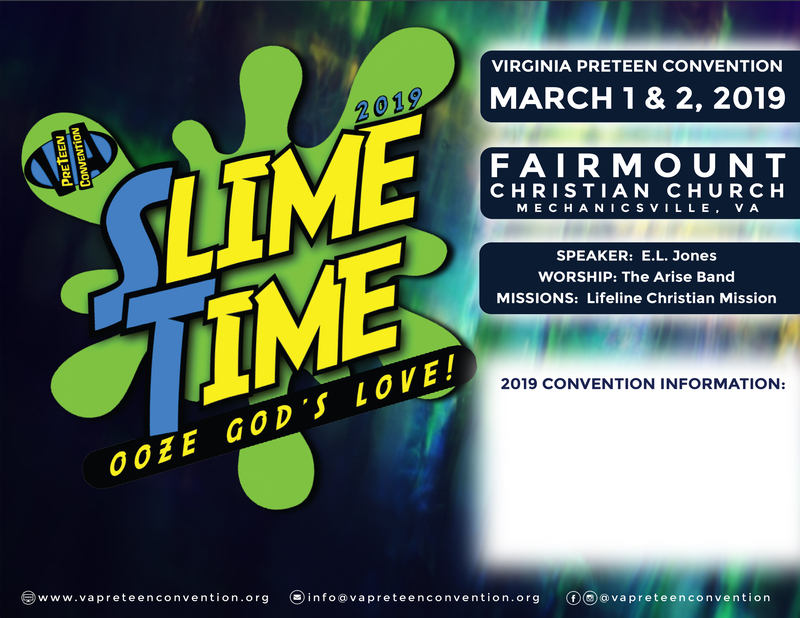 Don’t forget to mention that you’re with the Virginia Preteen Convention. **ALL HOTEL BLOCKS WILL BE RELEASED ON FEBRUARY 16, 2019. RESERVATIONS ARE SUBJECT TO CHANGE AFTER THIS DATE. but are close in proximity to Fairmount Christian Church and have fair rates and amenities. *please note: Fairmount Christian Church is only the host site. Please do not contact them to get information about the convention. If you have questions or need help with a convention question, email us at info@vapreteenconvention.org. REMIND: A free texting service (you've probably seen it in the schools in your area) that helps keep you connected to us. Simply text the code "@vpc20" to 81010 and subscribe to get text message updates from the convention team. We use this heavily during the convention weekend as well to share reminders and information. INSTAGRAM: One of our favorites! We LOVE sharing pictures, especially when we are planning, or building, or playing, or singing, or... you get the "picture", right? Follow @vapreteenconvention for all the fun! HASHTAGS: Everybody's favorite little pound sign can create quite the buzz, so buzz away! Use #VAPC or #VAPC2019 on social media to see posts related directly to the convention. EMAIL: There are two ways to do this. One, send your questions, comments, etc. to info@vapreteenconvention.org. We read it all and take it all into consideration for future conventions. And we will do our best to reply quickly! And two, sign up to let us send you email! We use "Mail Chimp" to share large group emails with major announcements, registration info, etc. To join this group, simply click HERE and provide the requested information. Here are a few extras for you to use if you choose to do so. If you are looking for something particular, EMAIL us and we'll do our best to get it to you.